In recent months we have seen leading UK retailers scale back their high street presence, suggesting that people no longer use our towns and cities in the way they used to. 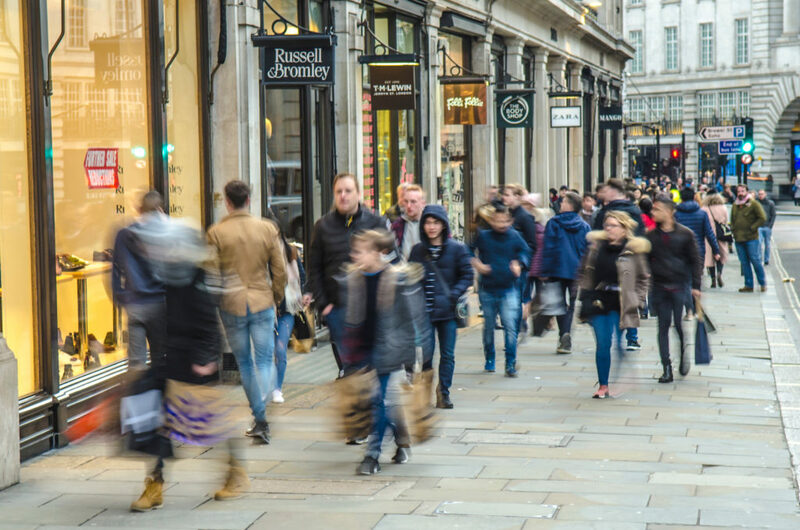 Reacting to this change in consumer behaviour, councils should be looking to bolster local marketing activity in order to draw people back into the city centre. But how do councils know when this approach is really delivering? Footfall monitoring is a simple yet highly effective method to indicate the vitality of a city. Footfall is often linked to the level of attractiveness of a location and its ability to satisfy customer and visitor needs successfully (Successful Town Centres – developing effective strategies; 2013). Using cameras or smart sensors to capture pedestrian activity, local authorities can learn how people move around a city, identify which locations will be the most valuable for focused marketing and which areas could benefit from regeneration. At our recent Smart Tourism Workshop with local authorities from across the Midlands, footfall monitoring was high on the agenda, with attendees agreeing that footfall trend data was extremely useful to demonstrate if their marketing activity was having the desired impact. Lisa Clemson from Lichfield District Council shared an example of how they used footfall insight to inform the launch of a new marketing campaign for the rebrand of the Visit Lichfield website. The footfall data helped them to understand the value of particular locations across Lichfield, meaning that they could be more effective in targeting adverts and other marketing activity. Sarah Oakden from the National Memorial Arboretum said footfall trend data helped her in the planning of events. She explained how the insight informs her decisions about how many staff and volunteers they would need in order to meet expected visitor numbers and provide the very best service and experience. It was a great example of how footfall monitoring can be used to track the impact of seasonal visitors, compare day and night time economies and understand trends around key trading hours. We also discussed how footfall data can help inward investment to an area which would boost a city’s economic prosperity. Businesses looking to ‘set up shop’ will want to understand the footfall figures of a city before making any investment decisions and can be put off if this information is not available. Effective footfall monitoring can feedback data in real time and help local authorities to be more reactive, which can be particularly useful for crowd control, policing, parking and traffic management when lots of people visit a city for a sports match, for example. It can also be highly effective in managing mobility within a city, providing insight into how easy it is to walk around an area and transition between a bus station to a shopping centre. Within urban planning, pedestrian data can help to identify areas in need of improvement to enhance the visitor experience such as city access, signage and location of benches and bins. To effectively serve its citizens, local authorities need to understand how people move around and use a city. The flow of pedestrians affects the whole city environment and so it is important to know not only how many people, when and where, but how this activity changes over time. Analysis of the data produced by footfall monitoring can help local authorities to keep their city moving, improve the local experience and grow its economy for the benefit of everyone.